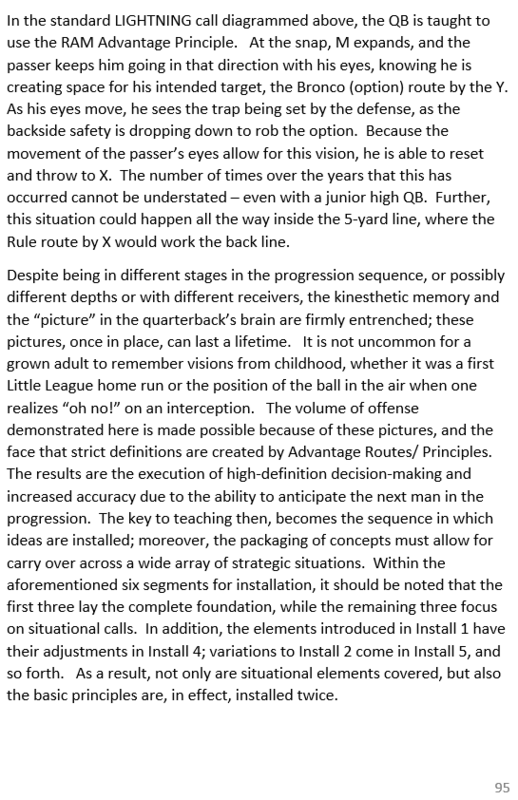 Below is an excerpt from one of my four courses on CoachTube entitled "Expanding the Vertical Package." I will soon be adding another project involving pass protection. 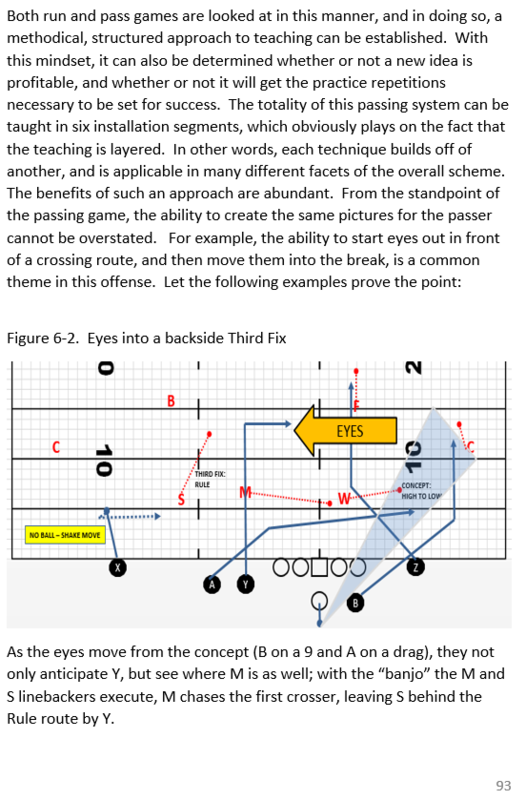 I have gotten a lot of questions about my new book, Read and Shoot: Coaching a Multiple Read Passing Game in the Spread Offense. 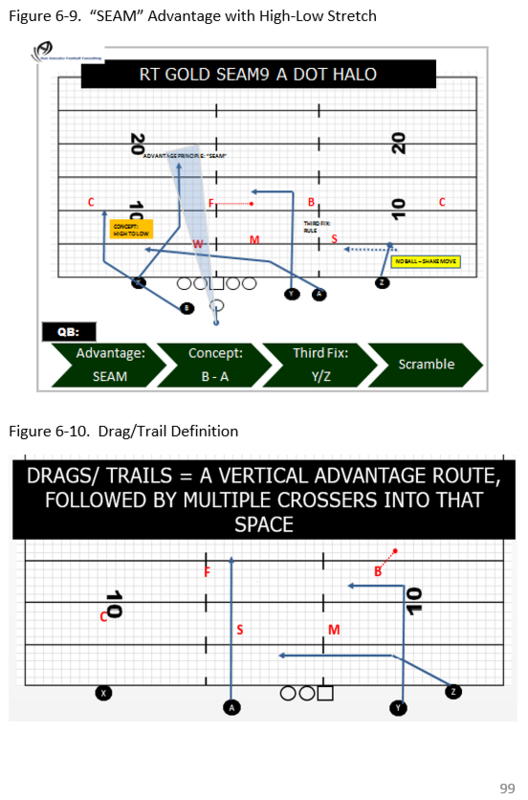 For this work, I tried to be as detailed as possible, while still allowing for ideas that can be implemented in any passing game. 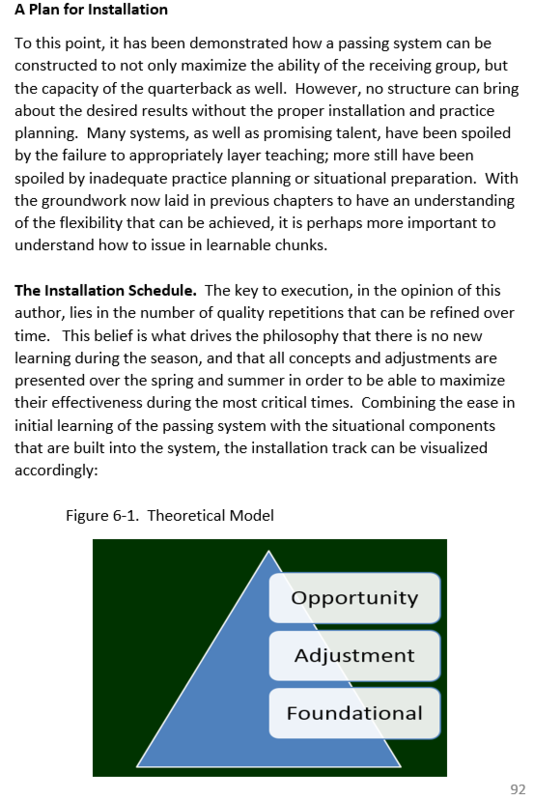 From here, the remaining installation schedule is covered, and the rest of the book is really set up so that one has insight into all the elements of coaching a pass-first offense, from how to format an animated QB Manual, to how to tag data for game planning. Read and Shoot can be found HERE. 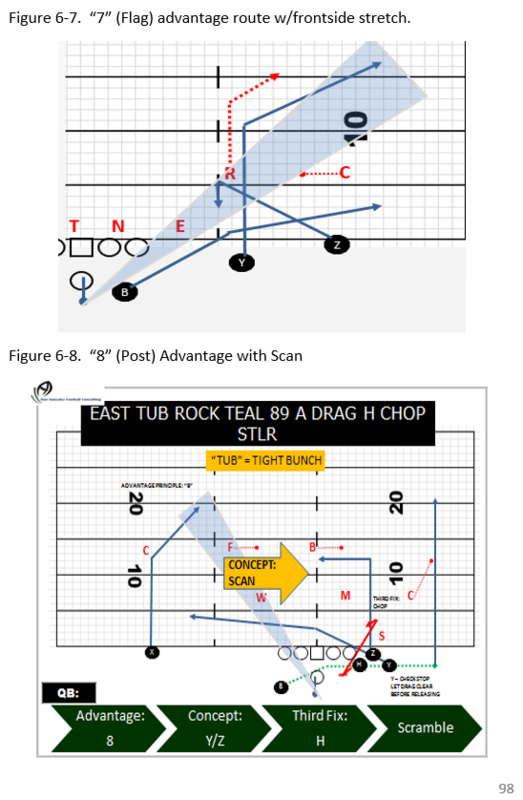 I am happy to announce that in addition to my new book, Read and Shoot: Coaching a Multiple Read Passing Game in the Spread Offense (found HERE), I have begun to release the first of a series of courses designed tap into newer developments in the passing game. These courses can be found on CoachTube, and the first one is entitled Creating Half-Field Passing Concepts (which can be found HERE). In it, using over an hour and a half of white board and video analysis, I cover some new pass pattern structures that are applicable to any system. Coaching points, from protection to pattern philosophy and assembly, are discussed. As mentioned previously, new classes are already developed and will be released soon; the next one will be entitled Expanding the Vertical Passing Game. 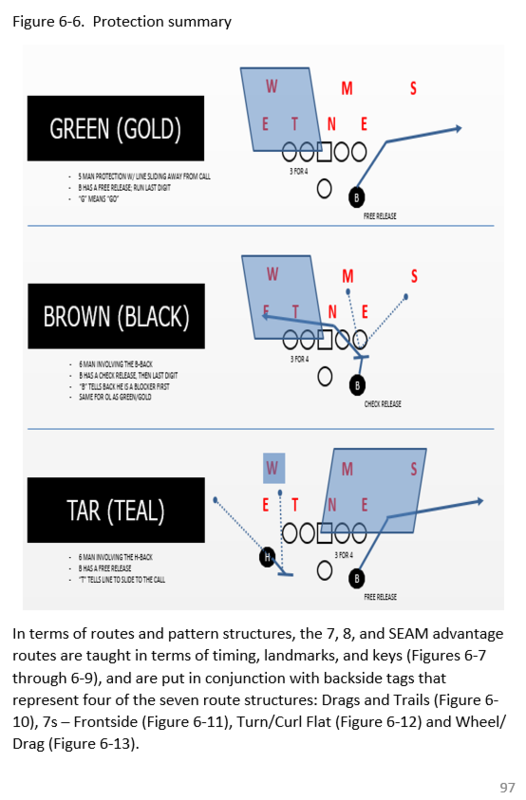 Many defensive trends have led to the 4 Verticals package losing effectiveness; this course will look at updated strategies in pushing the ball down the field. As always, I can be contacted via social media (@Dan_Gonzalez16) with any questions. 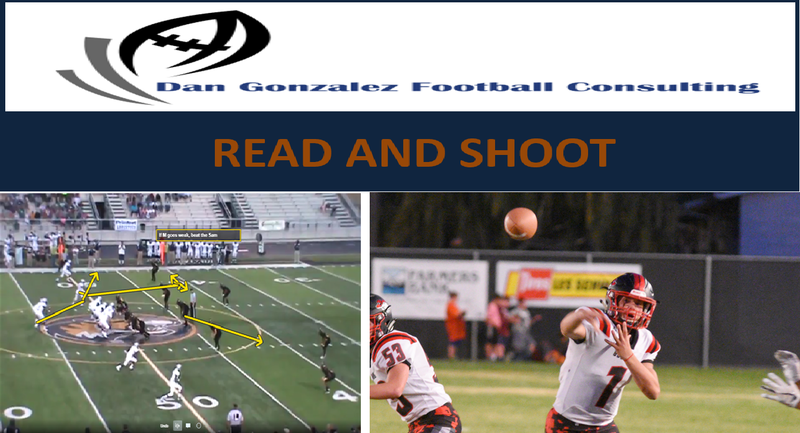 "Read and Shoot" Now Available! The process is now over, and my newest book is available HERE. ​Dan has always been among my favorite authors on offensive football, and this latest work is a good example of why. 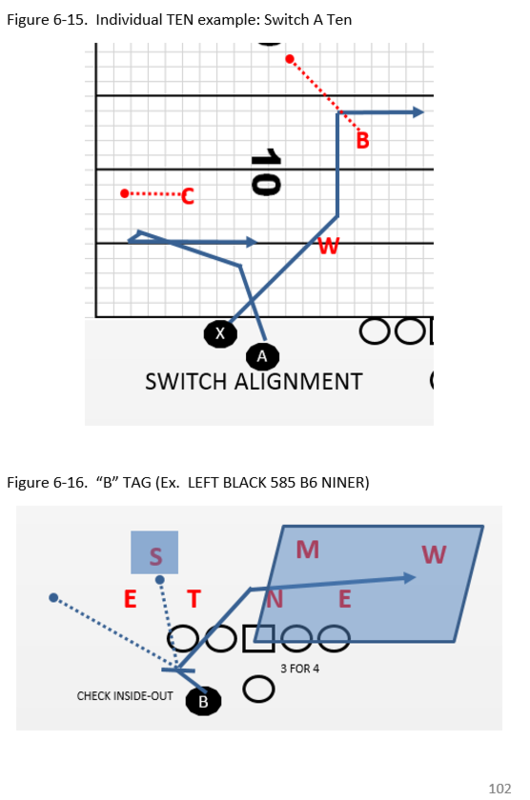 It is a remarkably timely work that will help any coach build a more well-rounded offense with principles that are thoughtfully explained and thoroughly relevant to the issues in today’s football. For me, this is the kind of resource that will broaden my understanding of what’s possible, equip me to provide better answers for my players, while at the same time helping me sharpen my skills as a communicator. Highly recommend! 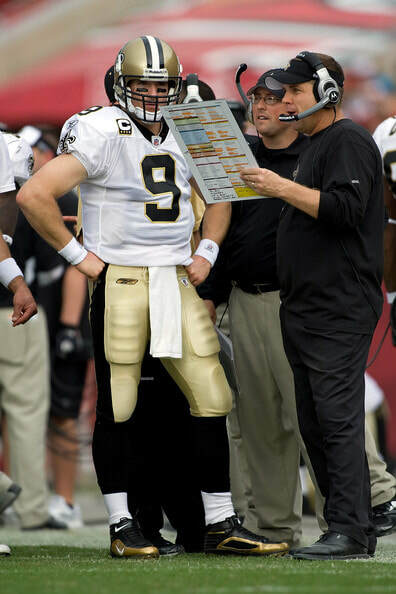 I first found out about Dan in 2009 when I read his first book, "Concept Passing: Teaching the Modern Passing Game." Since then, I have gone back to use it as a reference many times. It is a must read for all football coaches. I have even required some of my entry level coaches to read it! He has taken it to another level with his new book. His ability to put a system in place to process information and put it in a teachable format is incredible. After reading the book, you will look at the way you teach and format your system in a whole new way. It's not what we know, it's what we can teach. Dan is an expert at this! New Book: Read and Shoot -- Available soon! 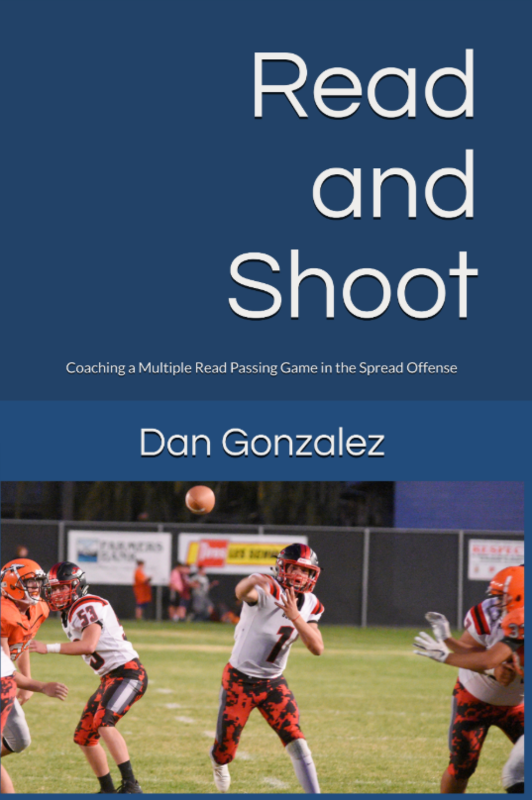 I am happy to announce that in the coming days, my new book "Read and Shoot: Coaching a Multiple Read Passing Game in the Spread Offense" will be available. Formatting and editing are complete, with some housekeeping issues to be completed before "Go Live." This one is less centered on the system I have used; rather, it is more pointed towards concepts and theory that go into the passing game. A few years ago, I set out on an iBook series; the third became "lost in space" as the platform used was not Apple - I had the very good intention of making it available on every kind of device. The company, however, encountered problems, and that also ceased work on the 4th iBook I was to do. Here, in a more stable format, I am able to communicate the building blocks of a system that has won state championships, produced immediate results for my consulting clients, and was proven to be executable by teams as raw as youth level. In order to get the diagrams to speak to the reader, each of the approximately 200 diagrams are in color; further, a TERM GLOSSARY is made available. The goal is to spark ideas and critical thinking in the development of one's passing game. This last few weeks of the NFL season is perhaps the saddest time of the year for me. I usually take on some big project to pass the time until the start of spring football, and this year is no different: I will move my cut ups over to HUDL for clients, and I am also working on another book. Hopefully to be released by the end of February, a lot of the content will center on the teaching, installation, and game week focus in the passing game. Anyway, since I haven't posted in a while, I thought I'd add something from this past season's install teaching videos. Every season, new video install packages are available to clients (which will be the next big project later this Spring). 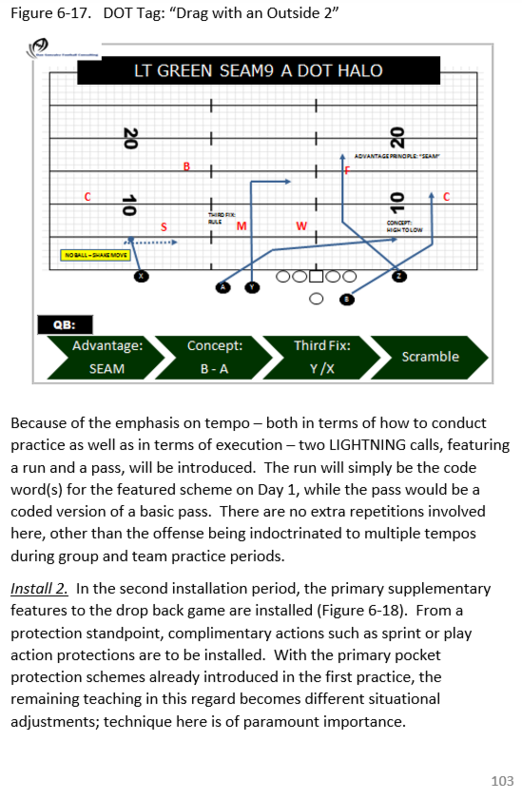 Here, in Install 4, we get to some situational Scoring Zone and 3rd Down stuff. Enjoy. Coaches - Don't just be able to call a play, be able to teach it! In any truly great venture, the measure of success is found in replication. Is a rock band truly great, or just a "one hit wonder?" Does an electronics company come up an innovative gadget, only to be passed up by the competition? In football, does a system churn out production year after year, or does a program collapse with the graduation of a generational player? ​The more I watch college and NFL film, the more surprised I am at how many teams simply rely on a huge arm at QB or a blazer at WR to move the ball. If you think about the teams that are ALWAYS good, they scheme the daylights out of the opponent; moreover, they adjust to personnel changes not only from season to season, but from pre-season to playoffs as well. When one is able to combine talent with unmatched scheme, special results will follow. This is what we should strive for in coaching - giving our players the ability to accomplish feats they never thought possible. This will never happen unless player learning and execution is placed at the center of the discussion. Bottom line is this: anyone can spout off a play call from a given "big name" team, and understand the logic that lead to the success or failure of a given play. Don't get me wrong - I LOVE THIS STUFF, and learn a great deal from these discussions with coaches, and am so thankful we are in an electronic age where I can be connected to folks on Twitter and learn from them. BUT -- a system from the context of coaching must be able to replicate what is being taught! 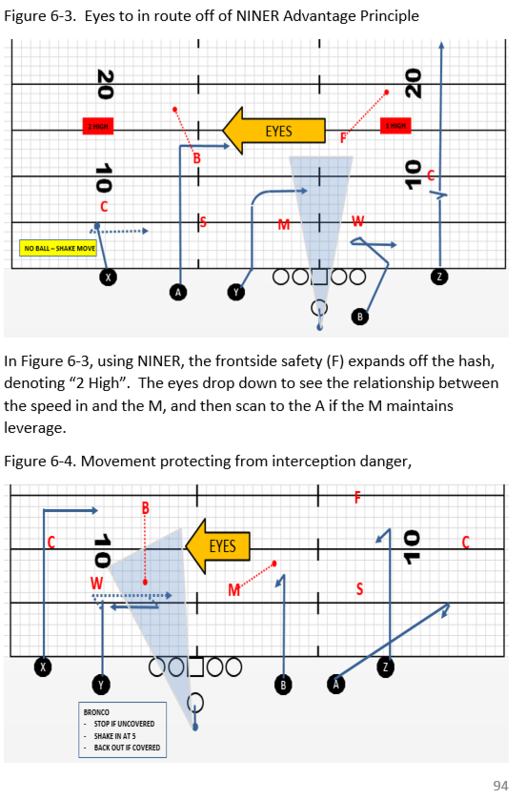 When I wrote Recoded and Reloaded several years ago, this was precisely the mission: to be able to make a sophisticated passing game learn-able at any level. 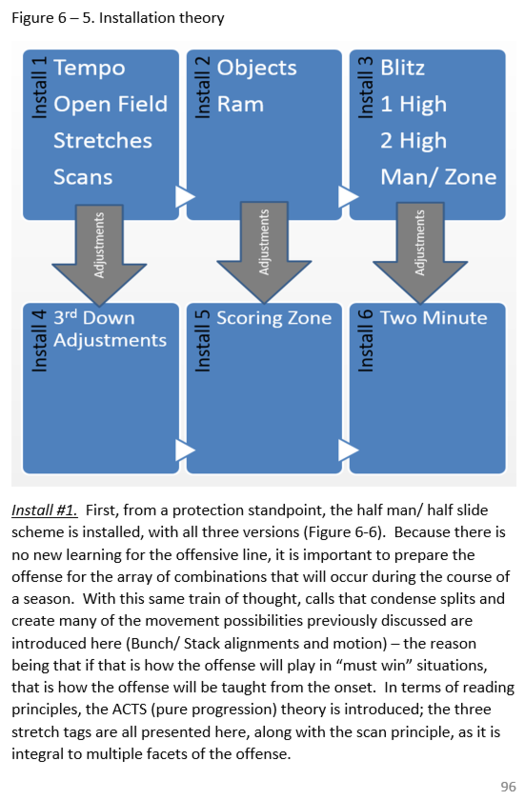 The evolution of the offense has continued, as the teaching and refinement have, to the point where much of original system has been re-organized. Using my son's team as a test case, we have proven that it is possible to complete over 70 percent, and have a 38 TD: 4 INT ratio (in 9 games). Moreover, high schools have been able to replicate these numbers. Clients have seen immediate dividends, and a baseline for continued success is established, which is the exact intent of having a "system" - for a coach to be unlimited in their implementation of the passing game. Coaches are famous for spending countless hours in game plan prep, pulling parts of their system that will allow for the shredding of the opponent defense. The real key, however, is making sure these specialized calls make it to the field come game time. Further, the sequencing is more critical than one could imagine. For example, a deep shot against a gambling corner might be eminent, but said corner might be protected by a strong pass rush. A complete plan would account for the pass rush of course, perhaps by sequencing the shot deeper into a series, where a prolonged drive could negate the defensive charge. In conjunction with the formation worksheets we use to formulate our overall plan, we would have scripted attack ideas for each opponent. These attack ideas represent the backbone of the plan. Because of the anticipated reaction to Rock/ Load motion, we could get a clean, quick-rhythm throw to our best RAC guy. If not, we had a basic combination to move our eyes into. The key here is that the offense is not only efficient, but that the best calls are not left on the play card. Just as important is the development of an adjustment script. For the example above, the single-high and weak pressure answers were anticipated and planned for. This is easier to plan for than one might think -- most defenses simply do not have the time to be very multiple. If they are, they usually aren't that technically sound. Using these mini-scripts, the results for us this season have been astounding: completing over 70% for the year, with over a 6:1 TD/ INT ratio. Below are some examples of what is being discussed at using junior high players. 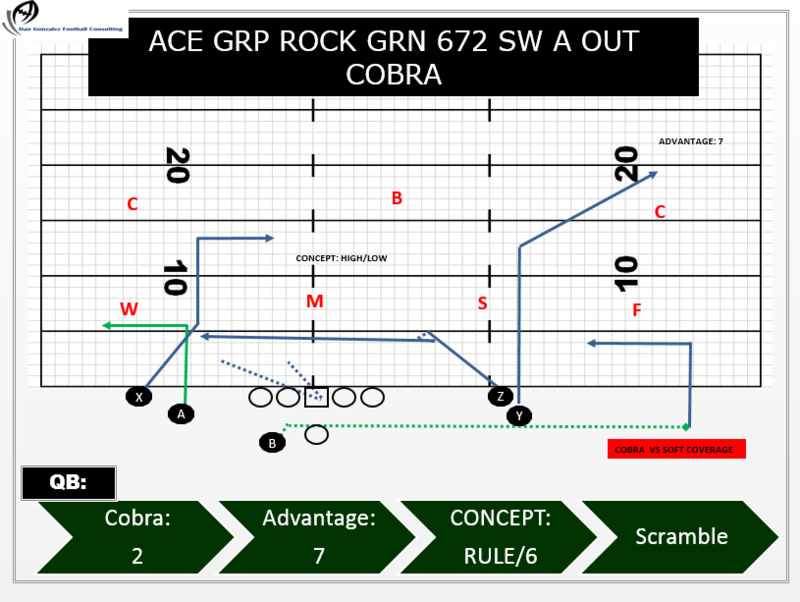 I just wanted to say, "thank you" for providing me with the information, insights, mental approach and so much more regarding offensive development, especially in the passing game. You have been accessible via email, phone calls, text, and especially through your easy to follow video playbook system. What I have learned from you has been valuable to my development as a head coach, offensive coordinator and play caller. As a Head Coach for a youth 10U football team here in California, the importance of respecting the "art and science" of coaching has been broadened by you through implementation and understanding of a simple, player based learning and development within a system. In fact, the system principles you have impressed upon me, have been carried over to my defensive system. Our players love this offense, we call it G-FORCE, because it will be a force to reckon with.Once again, I thank you and look forward to working with you through the upcoming season. You are the biggest kept secret in coach education and development! Thanks! Certainly, this is a testament to the system we have developed, but to the effort and diligence of the coach taking the information, techniques, and suggestions and implementing with zeal. "RAM," for us, is an advantage principle in which the accompanying pattern instructs the QB to "Read Away from Mike." We can use the term with a multitude of patterns - often times simple concepts that most high school offenses already have in their arsenal. 1. 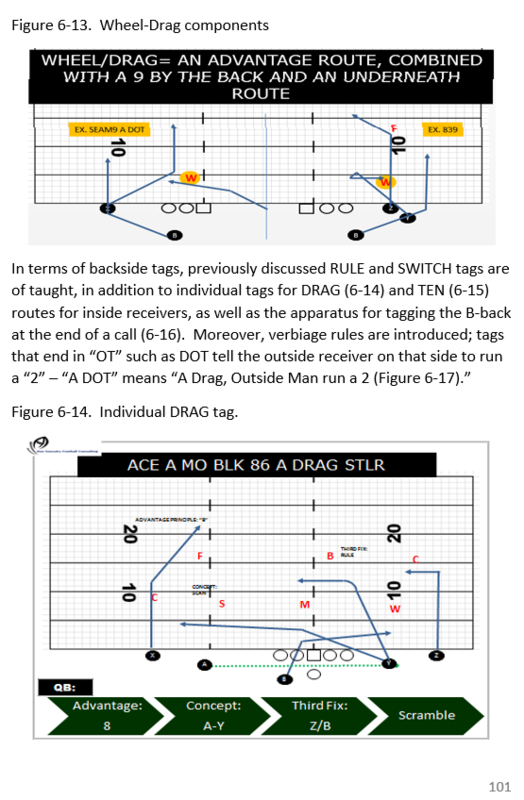 A spot or spacing route by the single receiver and RB, way from 3 receiver running levels. 2. Spacing to the 3 man side with an option route by the slot, with M blitzing, telling the QB to work into the blitz. 3. The same pattern with a different reaction by Mike. 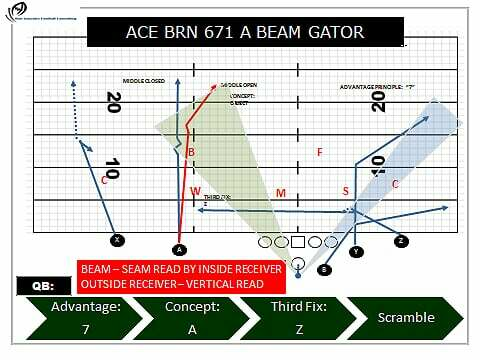 This system of passing lightens the learning burden on the players, and puts the responsibility on the play caller to direct the QB, without unnecessary learning. 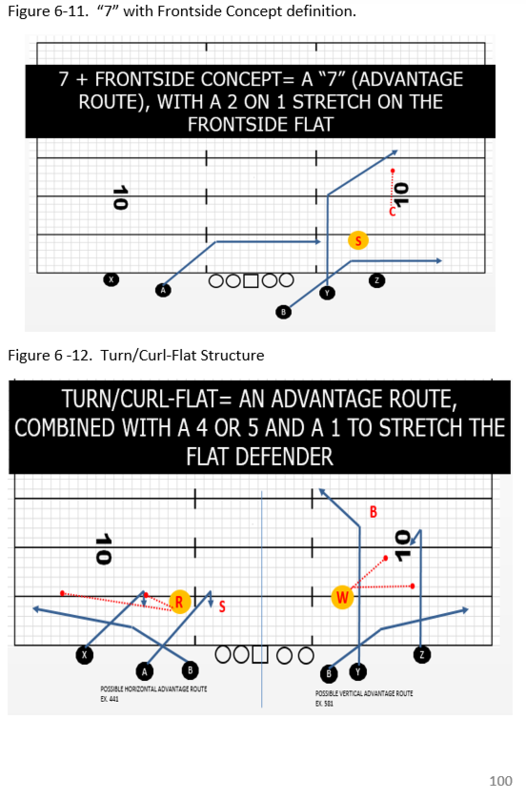 For example, the coach can direct the QB to think in terms of Man or Zone, or 1 high/ 2 high -- all with no new learning because the principles are universal in the system and have a way of carrying across pattern structures. Living in Allen, TX and using this outlet to not only stay close to the game I love, but to help pass on what I have learned from some of the game's great coaching minds.